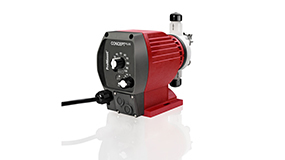 Solenoid | ProMinent Fluid Controls, Inc.
Solenoid diaphragm metering pumps from ProMinent deliver reliable metering even under the harshest operating conditions. 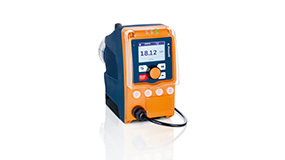 Solenoid diaphragm metering pumps with an output range of 0.74 to 75 l/h at a back pressure of 16 - 2 bar can be used in virtually all applications. Quality, reliability and the best value! The ProMinent® Concept Plus series covers a capacity range of 0.19 to 4.33 GPH (0.7 to 14.9 LPH) at pressures up to 232 psi (16 bar). No Longer Available - Please see the gamma/ X page! !